For tax dispute resolution administrative appeal is the starting point. Once a taxpayer has exhausted all possibilities of administrative appeal and a final decision has been made, the decisions can be appealed to the courts. A case must be brought before the courts no later than three months after the administrative appeal boards have issued a decision. However, there is an exception; the taxpayer can file an appeal before the courts in situations where a board of appeal has not issued a decision within six months after receiving the case. Additionally, a tax dispute resolution can be filed to the Danish Parliamentary Ombudsman (the Ombudsman). the motor vehicle boards of appeal. All appeals must be submitted to the Tax Appeals Agency. Submission triggers a fee of 400 kroner. The Tax Appeals Agency distributes the cases between the appeal boards based on competences. The Tax Appeals Agency functions as secretariat for the boards of appeal and the National Tax Tribunal (the Tribunal). The Tax Appeals Agency can also make decisions in certain appeal cases. These appeal boards will be described further in Section III. The processing time for cases submitted to the Ombudsman depends on the circumstances of the case, but has an average processing time of about six months. Submission of a case before the courts triggers a court fee. The fee cannot exceed 2,000 kroner. In cases of an appeal before the Supreme Court, the submission fee is 3,000 kroner. Additionally, a listing fee, equivalent to the court fee, must be paid prior to the trial proceedings. A tax dispute will usually be initiated because of a disagreement between the taxpayer and the tax authority. The disagreement could, for example, be an amendment of the taxpayer's income report or in case the taxpayer wants to challenge an advance tax ruling from the tax authority. the taxpayers' possibility of postponement of contested payable taxes. Taxable individuals and companies have a duty to self-assess their taxable income and submit their tax assessment to the tax authority. A former assessment of taxable income can be amended. However, there is a statute of limitation. As a starting point, a tax assessment can be amended until 1 May in the fourth year following the relevant income year. This applies for both the taxpayer and the tax authority. If the tax authority intends to adjust a taxpayer's assessment, the tax authority is obliged to notify the taxpayer no later than 1 May in the fourth year after the relevant income year. The notification shall be followed up by a final assessment no later than 1 August in the fourth income year following the relevant income year. In the case of controlled transactions, the notification period is extended to 1 May in the sixth income year following the relevant income year. The extension is a consequence of the complexity of tax assessments in the case of controlled transactions. If the taxpayer has acted with intent or with gross negligence, the statute of limitation is 10 years. Additionally, other special circumstances can prolong the notification periods. If the tax authority initiates an amendment of a taxpayer's assessment, the authorities must notify the taxpayer. The notification must contain a general description of the basis for the intended amendment, including new facts or circumstances that trigger the amendment. Once the taxpayer receives the notification, the taxpayer will be granted a certain period of time in order to submit remarks. If the taxpayer wishes to initiate an amendment of a tax assessment, the taxpayer must notify the tax authority with said request within the same time limit of four years. The request must contain the basis for the intended amendment. The tax authority will draft a decision proposal after reviewing the request. Hereinafter, the taxpayer is granted a certain period of time to submit remarks. Once the tax authority has received the taxpayer's potential remarks, the tax authority will determine the case. Certain protective mandatory rules apply to taxpayers in order to strengthen the their legal position and for the purpose of legal certainty. One rule provides the possibility to employ a tax reservation in relation to transactions (e.g., a sales agreement or a deed of gift). The tax reservation serves as a guarantee if the transaction has unintended effects. In this case, the transaction may be terminated or may have a different content (e.g., if the tax authority does not accept the anticipated tax consequence of the terms in an agreement the parties can, owing to the tax reservation, amend or annul the agreement with retrospective effect). The tax reservation is only valid if certain conditions are fulfilled. For instance, the tax reservation must be clear, in writing and be notified to the tax authority no later than at the time when the tax authority was informed about the transaction. Additionally, a taxpayer can request for an advance tax ruling from the National Tax Board in cases where the taxpayer is unsure about the fiscal consequences of an intended transaction. The tax authorities will be bound by their ruling. Consequently, the advance tax ruling can serve as a binding promise from the tax authorities regarding the fiscal consequence of the intended transaction. In general, the advance tax ruling will be binding for the tax authorities in the following five years. However, if the advance tax ruling concerns a valuation, the ruling will only be binding for a period of six months. Depending on the circumstances, the tax authority can set out a shorter period in which the ruling will be binding. The taxpayer is required to pay a submission fee of 400 kroner (2019) to obtain an advance tax ruling. A taxpayer can contest an advance tax ruling by administrative appeal. Once all administrative appeal options have been exhausted, a tax dispute can be brought before the courts. However, a taxpayer may bring a case before the courts if the appeal boards have not issued a decision within six months, calculated from the submission of the appeal. It is a requirement that the appeal board has not issued a preliminary decision. 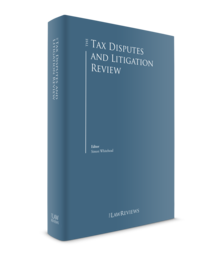 Anyone with a significant, direct and individual legal interest in a tax decision may submit a complaint to the Tax Appeals Agency. Submission of a case triggers a fee of 400 kroner for the taxpayer. The litigation process is rather informal. Both parties will be granted the opportunity to provide additional remarks during the process. The taxpayer may request a meeting with the responsible caseworker. Generally, it is advantageous to request a meeting. However, it will likely prolong the processing time. During the meeting, the facts and the legal arguments will be discussed with the caseworker in an informal manner. Once the preparation of the case is finished the Tax Appeals Agency will issue a preliminary decision, which will be sent to the parties for their review. The taxpayer can request for a meeting with the members of the relevant appeal authority. Following such a meeting, the appeal authority will issue a decision based on the preliminary opinion, the comments provided by the parties and the information and arguments presented at an eventual meeting with the parties. According to the Danish Constitution, all decisions issued by a public authority can be brought before the courts. The court system is based on a two-instance principle. As a starting point, all cases start in the district court. Hereinafter, the decision can be appealed to the High Court. If a case is of fundamental character, it is possible to apply for a third-instance permission. The demand must be filed to the Ministry of Justice. If the request is granted the taxpayer may bring the case before the Supreme Court. With permission from the first instance court a case can also be transferred to the High Court. In this situation, the case can be brought before the Supreme Court without special permission. A case must be brought before the courts within three months calculated from the date the appeal authority issued its decision. A tax dispute will be processed according to the Danish procedural rules for civil cases, with the necessary adjustments. For instance, only questions that were originally part of the initial decision can be reviewed by the courts. However, the taxpayer can involve new questions if permission is granted by the court. New questions can be processed in the dispute if it can be considered as excusable that the question has not been dealt with previously or it will imply a disproportionate legal loss for the individual if the question is not reviewed as a part of the case. The claimant and the tax authority have a right to request an expert opinion in tax disputes handled by the appeal boards or the courts. Such a request must be filed to the relevant district court. An expert opinion is admissible when the parties disagree on factual circumstances (e.g., when the parties disagree on the valuation of real estate or shares). An expert opinion cannot be provided to clarify legal disagreements. The expert opinion must be submitted to the court. Neither the courts nor the administrative appeal authorities can decide on the procurement of an expert opinion if none of the parties has requested such procurement. The requesting party must initially bear the expenses; ultimately, the court decides which party has to bear the expenses based on, inter alia, which party the opinion favours. However, the appeal boards can decide that the tax authority shall cover all expenses relating to the procurement of the expert opinion. The court can decide to appoint more than one expert if requested so by one or all the parties and the case at hand requires more than one expert to be fully examined. Further, the court can allow additional expert opinions to be provided on the same subject, if this is deemed appropriate or necessary due to a party's relevant objections to the first expert opinion. A taxpayer can apply for a postponement of the contested payable taxes. The tax authority usually grants postponement requests. However, the tax authority tends to reject the application if there is a reasonable risk of the taxes not being paid (e.g., if the taxpayer is moving abroad). Furthermore, the tax authority can require collateral for payable taxes as a condition for granting a postponement. The postponement period of four years can be extended in the event the appeal lasts longer than four years. The postponement will always lapse when the appeal board delivers its decision. The taxpayer must file a new application for postponement if the administrative decision is brought before a court. Additionally, a complaint can be filed to the Ombudsman or the courts. The Tax Appeals Agency is an independent authority and functions as secretariat for the appeal boards. If a taxpayer wishes to contest a decision of the tax authority, the appeal must be submitted to the Appeals Agency. After receiving a complaint, the Appeals Agency will gather all relevant information and once the preparation of the case is completed, the agency refers the case to the relevant appeal board. The Tribunal is not a court but an administrative appeal board. The Tribunal is organisationally a part of the Ministry of Taxation. However, the board is independent in its case process. Consequently, the Tribunal cannot be ordered by the Minister of Taxation to issue a specific decision. The Tribunal consists of a leading presiding judge, a number of other judges, 30 ordinary members and four members with specialist knowledge about motor vehicles. The presiding judge shall have a legal degree. The Danish parliament appoints 11 members out of the 30 members and the Minister for Taxation appoints the rest of the members. Denmark is divided into 19 local boards, which are located across Denmark. The Minister of Taxation appoints the members. The boards of appeal are competent to rule in the following tax disputes: disputes concerning taxable income; property value tax; advance registrations, deductibility; advance tax rulings; and certain other types of taxable income. The valuation boards of appeal are divided into 10 local boards, which are located across Denmark. The Minister of Taxation appoints the members. The valuation boards of appeal make decisions in cases when the dispute concerns valuation of properties and appeal of decisions regarding the taxation of land. However, the valuation boards of appeal may choose to refer the case to the Tribunal if the case has fundamental importance for other taxpayers. In Denmark, there are four local motor vehicle boards of appeal. The Minister of Taxation appoints the members. However, at least two members must be elected by a central organisation for car owners. One member must be a technical expert and another member must have business knowledge. The remaining members are appointed upon the recommendation of the dealerships organisation for the automobile industry. The boards of appeal can process disputes regarding registration fees and related matters. The Danish parliament is obligated to appoint an Ombudsman. The Ombudsman works independently from the Danish parliament. The Ombudsman functions as a 'public watchdog'. The Ombudsman accepts complaints about public authorities, including complaints about the tax authorities. The task of the Ombudsman is to review maladministration; violation of applicable law in the form of an unlawful administrative decision; unfair decisions; and failure to comply with procedure requirements (e.g., complaints on long processing time). The Ombudsman is competent to handle complaints concerning all parts of the public administration, with a few exemptions. For instance, the Ombudsman is not competent to handle complaints concerning the courts and consequently, the Ombudsman is not competent to handle cases in which the court has issued a ruling. A complaint must be submitted no later than one year after the administrative act or behaviour that gave rise to the complaint. the decision of the relevant appeal board is appealed to the civil courts within one month after the Ombudsman has finished reviewing the case. Otherwise, the complaint to the Ombudsman will not have suspensory effect. After reviewing a case, the Ombudsman may state criticism and recommend that a public authority amend the decision. The Ombudsman cannot render a decision himself. Owing to the complexity of Danish tax law; the Ombudsman has established a special tax office in order to strengthen the taxpayer's legal position. In the case of intentional tax evasion or in the case of gross negligence the Danish tax authorities may impose a fine. As a starting point the tax authority will automatically repay overpaid taxes. Before a repayment, the tax authorities will offset any outstanding amounts in respect of the individual or entity receiving the overpaid taxes. If repayment of overpaid taxes is granted, the refunding cannot be paid before the expiry of the income year to which the claim relates. Certain taxes (e.g., withholding taxes) require an application to the tax authority before the overpaid taxes are repaid. Anyone with a significant, direct and individual legal interest in a tax claim may initiate legal proceedings. An individual or a company that is only affected indirectly by a decision is not entitled to submit a claim. An economic effect may only be an indirect interest. If an individual or a company is a party of the tax dispute it triggers applicable legal effects, for instance, a hearing of the involved parties and right of access to documents in accordance with protective mandatory rules. According to a ruling from the European Court of Justice in Danfoss and Sauer Danfoss, companies can bring a claim directly against the Ministry of Taxation, irrespective of the fact that it is the company's suppliers who have paid duties to the tax authority. The expenses in connection with an appeal brought before the appeal boards are significantly lower than the expenses in connection with a case before the courts. It is possible to obtain cost reimbursement from the tax authority if an individual or a company is part of a tax dispute. Cost reimbursement can be obtained by submitting an electronic application to the tax authority. An application must be submitted no later than three years after the date the decision became final. The reimbursement will be 100 per cent of the costs, if the ruling is fully or predominantly in favour of the taxpayer. If the ruling is in favour of the tax authority, the cost reimbursement is 50 per cent. Generally, the cost reimbursement covers expenses connected to legal advice, expert valuation and the gathering of evidence. The cost reimbursement does not cover the submission fee. Currently, there is no possibility for alternative dispute resolution in tax disputes. However, there are several remedies to avoid disputes, for example, the possibility of an advance tax ruling, the possibility of using a tax reservation and the access to require an amendment of a previous tax assessment. Denmark has concluded double taxation treaties with approximately 85 jurisdictions. Generally, the double taxation treaties concluded by Denmark are based on the OECD Model Treaty. Most treaties provide a reduction in the withholding tax rate on outbound dividends, interest and royalty payments. the Administration and Services Agency of the Ministry of Taxation. The rules on the procedures regarding the tax authority's case handling are expected to be subject to modernisation in 2019. The scope of the modernisation is to strengthen the administrative procedures and to lower the lengthy review time in the administrative complaint system. There have been major complications with the digital collection of tax in Denmark. Therefore, a bill regarding support of the government's new debt collection IT system has been proposed. The bill will, inter alia, introduce new rules regarding court fees and time-barring, including new rules on the appropriation and cancellation of debt. 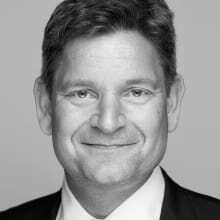 The Danish parliament has proposed that Directive 2017/1852/EU on tax dispute resolution mechanisms in the European Union should be made applicable in Denmark. Consequently, a set of rules regarding complaints on double taxation have been introduced, as well as a system to solve disputes related hereto. Generally, the system consists of three phases: (1) submission of the complaint; (2) mutual agreement procedure; and (3) the settlement of the dispute by arbitration. Furthermore, an adjustment of the rules on cost reimbursement is proposed. The proposed bill suggests that cost reimbursement should be granted in cases comprehended by the Danish law on tax dispute resolution mechanism in the European Union. 1 Jakob Skaadstrup Andersen is a partner and head of tax at Gorrissen Federspiel. 2 Report – key performance indicators for the Danish courts 2017.